Released in May this year, Stewart Bell of Citizen Cain has delivered a second compendium of lucid dream-related compositions, fashioned as a prog rock opera, and all based on his own personal experiences. Joining him here are Simone Rossetti, vocalist with The Watch, Bekah Comrie from Grace & Legend, Ayreon's Arjen Lucassen, Phil Allen (his Citizen Cain bandmate) and David Watters on bass. It's an ambitious, far-reaching album which covers a great deal of ground and ideas, but throughout, there's an overriding Genesis influence which seems to hinder more than help in its execution. The brief A Word A Name rides in on a thunderous dark, doomy Mellotron and full-on vocal chorus, a clashing cymbal bringing it to a close before it launches into Rude Awakening. Here, there's some nice synths and piano and its symphonic edge gives it an operatic feel. W.I.L.D. takes off in a different direction, its big, beaty techno intro making way for a fast and furious song that gets close to prog metal but offers up some nice arpeggios and melody. Children's voices give an interesting dimension to First Awareness, along with the Genesis-inspired vocals and synth effects. Time Dilation packs a lot into its nine minutes, starting with a door bell and then introduces new elements such as a flute section and Comrie's voice. It maintains its shape and gathers momentum throughout, arriving at a very pleasant fluid guitar passage from Allen. Coming in at 15 minutes, Intervention begins with heavy breathing. Lots of musical twists and turns such as keyboard noodling and choral voices provide texture before it arrives at a big melodic guitar section with piano accompaniment. Again, The Probability Of Improbability offers different elements including chunky keyboards, a narrated section, spoken almost like a lecture, and more mannered guitar flourishes. However, the content of the album sometimes subsumes itself under the weight of Gabriel-era Genesis and there's a real leaning towards some of the surrealism from The Lamb Lies Down On Broadway. What it really lacks are some coherent and lasting melodies, those which do appear being sacrificed for gimmickry and effects. 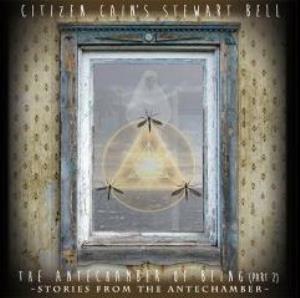 Bonus track, The Cupboard Of Fear (Chewing Your Tongue In Check), is a remix of Decoherence from The Antechamber Of Being, Pt 1 (2014, see review), which chronicles Bell's first lucid dream. Full credit must go to Bell for tackling a very big and complicated theme, which he applies to make sense of the whole question of reality and an individual's place in the Universe. For part three, some more sustained melody lines would elevate good themes and ideas into something a bit special.